Flex AR is a head-mounted display with a similar form factor to HoloLens or Meta 2 that's capable of full-color augmented reality content at 1080p resolution. The device runs on a Snapdragon 835 processor, the same processor used in ODG's R-8 and R-9 smartglasses, although Flex uses a tethered, wearable computer. "Augmented reality holds tremendous promise for companies of all sizes," said Mike Dennison, the president of the consumer technologies group at Flex, in a company-issued statement. "Until now, AR innovators have been challenged by the high costs and cross-disciplinary expertise required to design and build robust solutions. 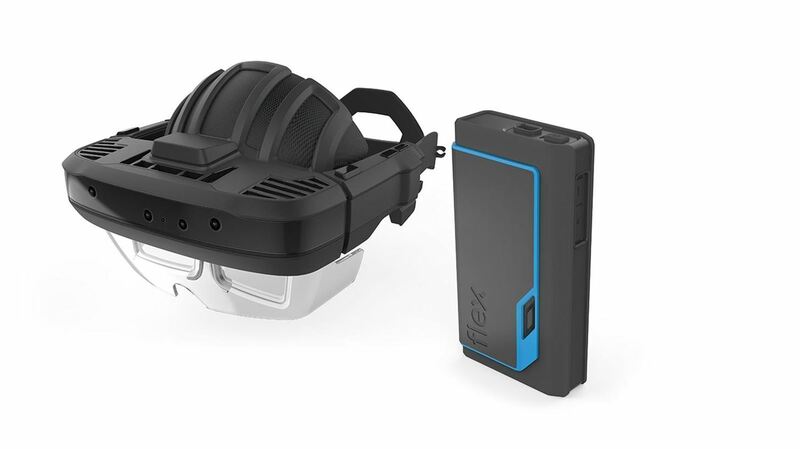 The new Flex AR reference design solves these challenges with a customizable hardware and software platform that innovators can build upon to quickly make an impact in this exciting field." 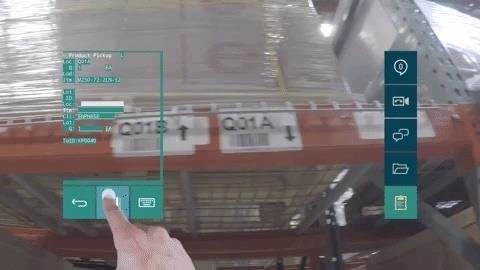 The headset employs a gesture-based user interface provided by Atheer, a company that counts Flex's warehouse operations as one of its customers. Flex AR also ships with a 30-day free trial of Atheer AiR Enterprise AR software, a tool customers can use to compile process guidance modules for their workforce. Developing additional apps for the Flex AR headset is made possible through an SDK based on Android. "We know the challenge of designing a cutting-edge platform that can be mass-produced," Soulaiman Itani, the CEO and founder of Atheer, said in a statement accompanying the announcement. "Through our work with Flex, we've seen their capabilities, and we're pleased to help provide a UI [user interface] system that supports gestures, voice, head motion and Bluetooth wearables for hands-free operation. We are looking forward to Flex enterprise customers being able to experience the out-of-the-box augmented reality tools in Atheer's AiR Enterprise productivity solution." While the tech world salivates over the prospect of future consumer smartglasses, the enterprise sector is already flush with options, including ODG, Vuzix, Epson, and DAQRI. (Last year, DAQRI announced a partnership with Flex to manufacture its smartglasses.) For technology providers looking to add AR headsets to their product mix, Flex AR cuts out the time and work of designing, prototyping, and manufacturing such a device. With a product like the Flex AR ready to go, companies can instead focus on hastening speed to market to take advantage of a still-maturing market. "Augmented reality with head-mounted displays offer many potential benefits for enterprises," said Hugo Swart, a senior director at Qualcomm, in a statement. "Flex's investment in their reference design helps the technology to scale by removing a barrier to entry for OEMs looking to bring a product to market."